Stolen Seas dives deep into the economic waters of modern Somali pirates. The hijacking of the U.S. shipping vessel Maersk Alabama by Somali pirates in April 2009 struck many people as anachronistic: How could there still be pirates in the 21st century? Back then, more Americans were concerned with media piracy, people sneaking into theaters with cameras and selling bootleg copies of blockbusters like . . . Pirates of the Caribbean. Cable news stations went to town on the Maersk Alabama story and were rewarded with a slam-bang ending: on April 12, U.S. Navy Seal snipers killed three pirates in a lifeboat as one pirate aimed an AK-47 at their hostage, Captain Richard Phillips. The exotic tale soon disappeared from the headlines, but Stolen Seas—a 2012 documentary by University of Chicago alumnus Thymaya Payne, which opens Friday for a weeklong run at Facets Cinematheque—digs deep into the subject of piracy, arguing that it's less an anachronism than a sign of the times. The Maersk Alabama case was unusual, the first pirate capture of a ship under the U.S. flag since the early 1800s. Payne's focus is on a much more typical crime: the hijacking of a Danish ship, the CEC Future, on November 7, 2008, as it transported U.S. steel from Belgium to Indonesia through the Gulf of Aden separating Somalia and Yemen. Through Daniel Howden, a reporter for the Independent, Payne made contact with a man calling himself Ishmael Ali, who represented the pirates in their negotiations with the Danish shipper, Clipper Group. Unlike the Maersk Alabama story, which lasted five days and ended in a blaze of action, the CEC Future hijacking dragged on for 60 days as the two sides haggled over a ransom amount: the pirates demanded $7 million, the Danish countered with $400,000, and the final payment, dropped from a helicopter into the water near the ship, came to $1.7 million. This was only a drop in the bucket for a problem that, according to one recent independent report, costs shippers as much as $8.3 billion a year. One sailor on the CEC Future declares that the area off the Somali coastline where captured ships are held "looks like New York harbor." To his credit, Payne takes the time to unpack all the commercial and geopolitical forces that encourage piracy, like the open registry of commercial ships. In the 1920s, U.S. companies began sailing their ships under the Panamanian flag to skirt their own country's regulations. Since then the "flag of convenience" has become commonplace, allowing more than half the world's merchant ships to register in countries like Liberia and the Marshall Islands, blow off labor and environmental standards, and hire cheap labor from anywhere in the world (the Philippines, for instance, accounts for 30 percent of all the world's merchant sailors). Though Clipper Group is based in Copenhagen (Payne interviews its calm, crisp CEO, Per Gullestrup), the CEC Future was registered in the Bahamas and its crew consisted of a Georgian, a Lithuanian, and 11 Russians. The Bahamas, whatever their charms, are not known for their commando forces, which leaves companies without the firepower that protected the Maersk Alabama. Responding to that headline-grabbing case and the growing piracy epidemic, a multinational task force (including the U.S., Canada, France, Great Britain, and Japan) established a patrol zone in the Gulf of Aden and in 2009 began going after pirates with considerable success. The Kenyan court system has been established as the legal venue for prosecuting Somali piracy cases; yet according to Stephen Haskins, a maritime lawyer who negotiated the CEC Future ransom for Clipper Group and speaks on camera, only about half of those pirates captured are even prosecuted. To some extent, this is because shippers refuse to cooperate. "The cost of having a ship pulled into port, while its crew is testifying at a trial that could last a year, is devastating to the shipper," explains Eugene Kontorovich, presented as an expert in maritime law. "The shipper would rather pay the ransom." Another report asserts that piracy incidents are underreported because they push up shippers' insurance premiums. Lacking the military might to fend off pirates and financially discouraged from prosecuting them, the shippers do what they're best at: cutting deals. 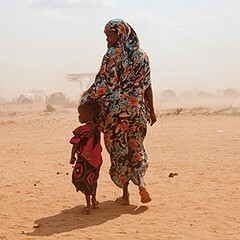 At the same time, a faltering world response to the failed state of Somalia has created what Howden, interviewed for the movie, calls "a laboratory" for chaos. Since civil war broke out in 1991, the country has splintered into ten tribal areas barely held together by the administrative apparatus in the north, once the site of the communist government. Africa historian Richard Dowden notes Somalia's warlike character and recent history as a Cold War chess piece: "Both America and the Soviet Union filled it with weapons." Drought, joblessness, and economic distress are the last ingredients, and this is where Payne's contacts on the ground pay off. "Every girl is looking for a pirate," explains Ali, asserting that the macho element attracts them as much as the money. Payne also interviews Ibrahim, a 17-year-old pirate with a wife, a child, and a gangsta mentality. "The situation now," he declares, "is how to make my life brief." Stolen Seas suffers from the fact that the negotiations progress so slowly and dispassionately—this is all business, we're reminded again and again—which Payne remedies somewhat by accumulating various human-interest stories. Videocam footage shot by a sailor aboard the CEC Future shows a photo of his grandchild on his dresser and bullet holes in the wall. "Here is a hole in grandpa's cabin," the sailor explains from behind the camera. "It comes from the best machine gun in the world, from a Kalashnikov." Payne also interviews Juergen Kantner and Sabine Merz, who were captured aboard their yacht by Somali pirates in June 2008 and carried off into the mountains of northern Somalia. Ali, who handled the negotiations for their release, remembers Merz as completely fearless, daring her captors to kill her. Ali himself has an interesting story: he spent 20 years in the U.S. but says he lives much better now in Somalia, and Payne shows him tending to his herd of camels, which he likens to a country club membership in America. What the movie may lack in momentum it makes up for in breadth. By casting a fairly wide net (so to speak), Payne manages to show how Somali piracy fits into a larger pattern of exploitation linking the poor tribal state and the industrialized world. Since the civil war, Somalis have complained about European countries dumping barrels of toxic waste on their shores (Payne includes a photograph of one hideously scarred man) and giant fishing companies poaching from their territorial waters. In fact illegal fishing is another rewarding operation for pirates, costing Somalia an estimated $300 million a year and weakening environmentalists' efforts to protect ocean populations. Piracy historian Matthew Rafferty argues in the film that this occurs with some complicity from the same Western powers waging war on piracy in the gulf: "It's not like Japan, France, the United States has no idea where all this fish is coming from as the prices drop, as the catches go up." 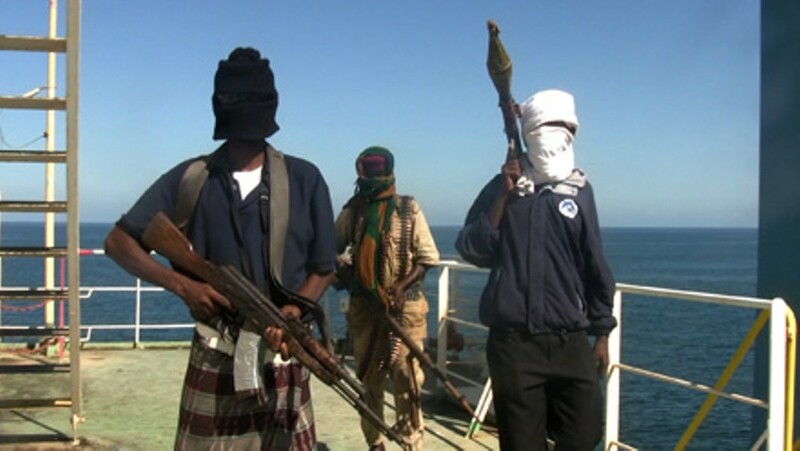 The key insight of Stolen Seas may be that, in the eyes of Somali pirates, we're the real buccaneers.